Travels with the Highland Drover: Where on earth is Urangan? Where on earth is Urangan? Whilst at Poona I was browsing through the address book and came across Al & Terrie's entry and thought to myself "where on earth is Urangan"? I knew they lived in Queensland but didn't have a clue exactly where. So, of course, I googled Urangan and discovered that it's next door to Hervey Bay - about 60kms from Poona! 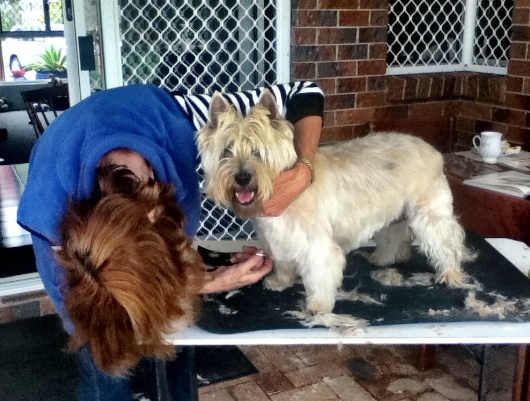 I first met Terrie & Al at Barn Hill Station (just south of Broome in Western Australia) in 2008, where Terrie - Dog Groomer Extraordinaire - gave Skye her best clip ever. Of course, once again, it just happened that Skye was looking unusually scruffy and so Terrie set to work to transform Skye back into a cute little Cairn Terrier. 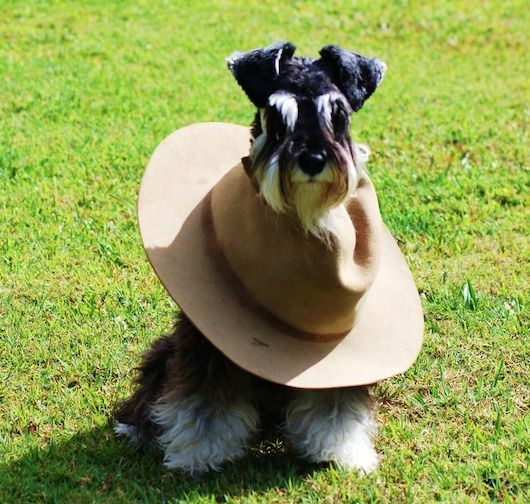 "The dog in the hat" is Heidi, Al and Terrie's miniature Schnauzer, she's a real cutie but is VERY found of chewing things - not her own toys - only other folks things. 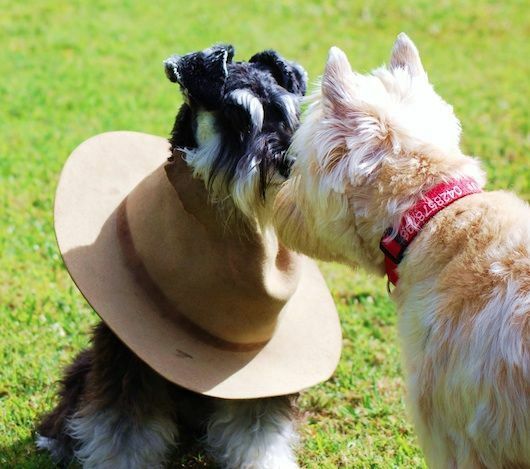 Skye is having a quiet word in Heidi's ear letting her know that dogs DON'T wear hats. Actually Heidi just worshipped Skye and followed her around like a little sheep - Skye of course has become even more convinced that she is the TOP DOG. I need to keep moving further north so you can see our location on the Google map - too many campsites from 2010 in Queensland!